A police car chase of a teenage motorist around Stornoway ended when the youth’s vehicle careered off the road. The jury in the trial of Hillsborough match commander David Duckenfield over the gross negligence manslaughter of 95 Liverpool fans has been discharged after failing to reach verdicts at Preston Crown Court. The driver of an 18-tonne lorry has admitted causing a crash which left a police motorcyclist in hospital. A 20-year-old Inverness man frightened two teenagers when he brandished a meat cleaver at them. A 17-year-old appeared from custody at Inverness Sheriff Court yesterday charged with robbing a 70-year-old woman of her handbag and its contents. A Newtonmore teenager will have to re-sit his driving test after he was banned from the road for four months yesterday at Inverness Sheriff Court. A long-running row over the alleged stench of horses affecting neighbours in a Western Isles village is finally resolved after two years. A jury in the trial of a woman and two men accused of murdering oil worker Steven Donaldson has been shown graphic images of the 27-year-old lying dead beside his burned out BMW in the car park of an Angus nature reserve. A man has been jailed for three years after his threats to carve-up a long-time friend with a machete saw his terrified victim leap from an upper floor window, causing severe injuries. A north-east man has admitted possessing hours of horrific video footage showing children as young as six being abused. A teenager "panicked" and reversed a car at excessive speed down an Aberdeen street after being caught driving while disqualified. A gambler has admitted to stealing more than £9,000 worth in chips from an Aberdeen casino to feed his "addiction". A man who admitted making a sexual gesture to a councillor in court has had his case deferred to establish a suitable sentence. A woman who admitted stealing thousands of pounds from a charity will wait a further month to learn her fate, as the courts seek to determine whether she has paid the money back. A disgraced police officer who admitted to falsifying evidence will find out his fate next month. An Inverness thief and drug addict had his sentence deferred until next month for a final assessment for an addiction treatment order. 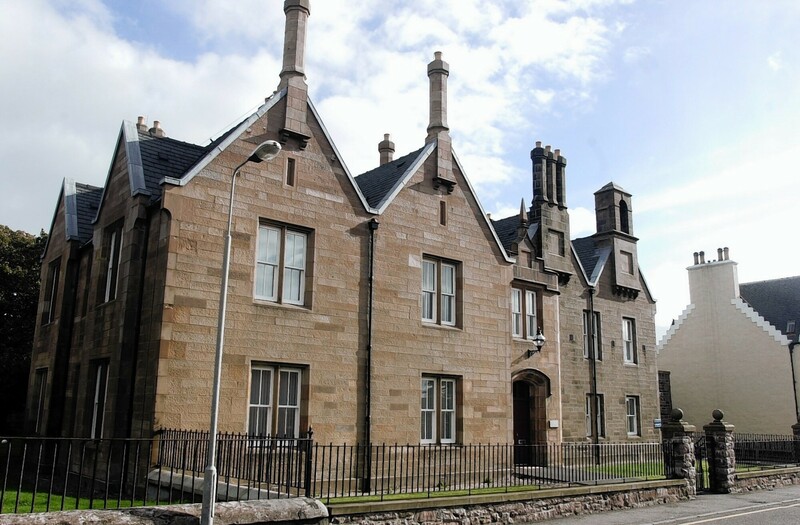 An Easter Ross man who had been under a court order not to approach or contact his ex-partner defied the ban and frightened her, a court heard yesterday. A window cleaner has gone on trial accused of sexually assaulting an 87-year-old dementia sufferer - after offering her a sensual massage. Two men have been charged in relation to the alleged theft of a cash machine in Torphins last month.